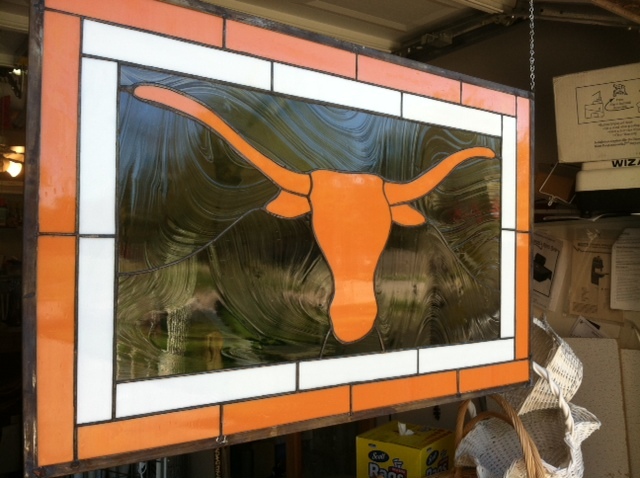 Beautiful stained glass Texas Longhorn. Made with Longhorn orange with white background. Measures approximately 31-1/2 x 14-1/2. This piece is going in a transom over a door. Great for that Longhorn in the family! Can be made to any size! For more information please call (713) 899-0933!! 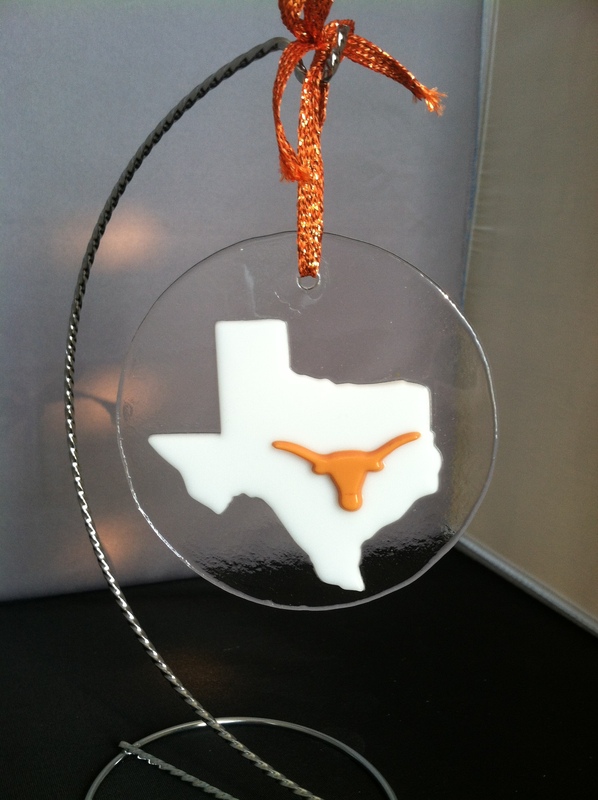 Texas Longhorn Stained Glass Ornament is approximately a 4″ circle with the white State of Texas and Longhorn. 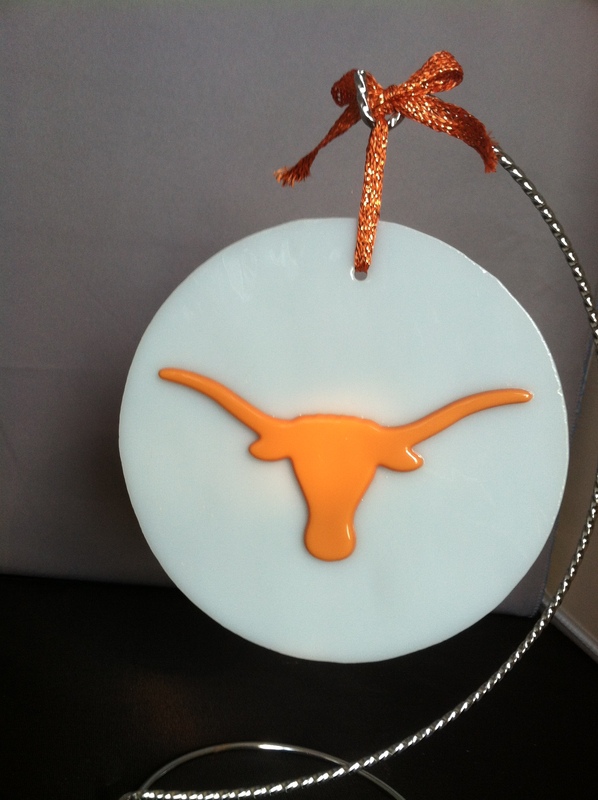 It has a Clear background with white Texas and orange Longhorn. For more information call (713) 899-0933. Price for this piece is $14 .95. There were only a select few made so order yours today so that you won’t miss out!! 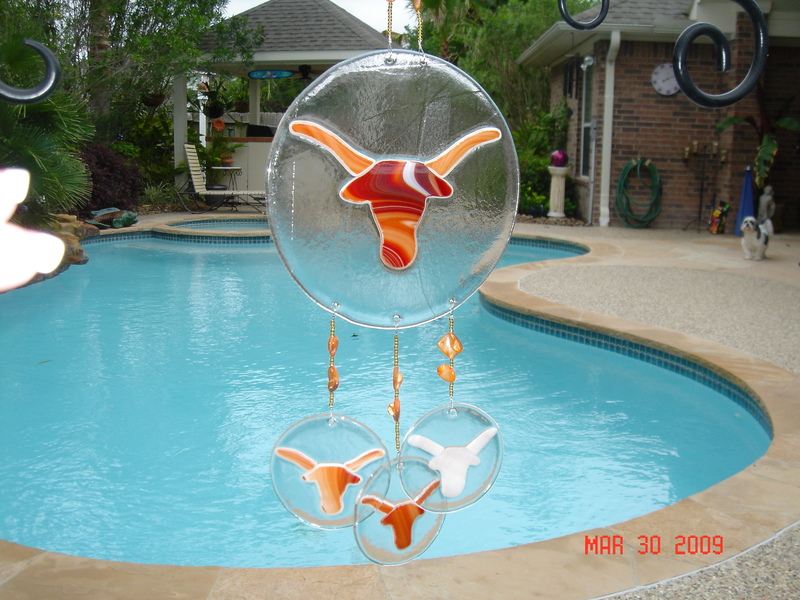 Texas Longhorn Stained Glass Ornament is approximately a 5″ circle with the Texas Longhorn. It has a white background with the Texas Longhorn . For more information call (713) 899-0933. Price for this piece is $18.95. There were only a select few made so order yours today so that you won’t miss out!! 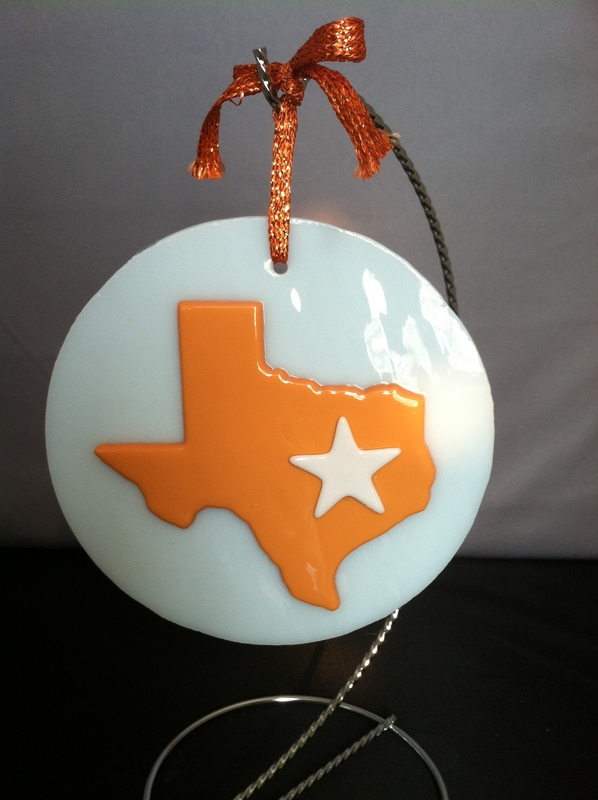 Texas Stained Glass Ornament is approximately a 5″ circle with the State of Texas and a Texas Star. It has a white background with the Texas Longhorn orange Texas with a white star. For more information call (713) 899-0933. Price for this piece is $18.95. There were only a select few made so order yours today so that you won’t miss out!! 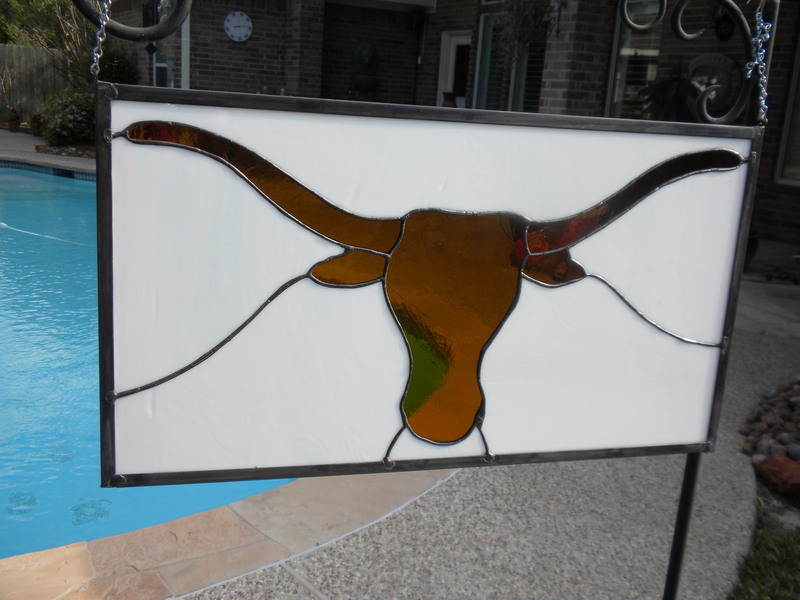 Stained Glass Texas Longhorn, measures approximately 31-1/2 x 20. Glass is burnt orange with clear broque background with white and burnt orange on the border. Selling for $395. Call (713) 899-0933 for more information! Longhorn Logo – White with Amber Longhorn. Measures approximately 25″ x 13-3/4″. Great for that University of Texas Fan!!!! Sells for $225. For more information call (713) 899-0933.